DEVECSER, HUNGARY. 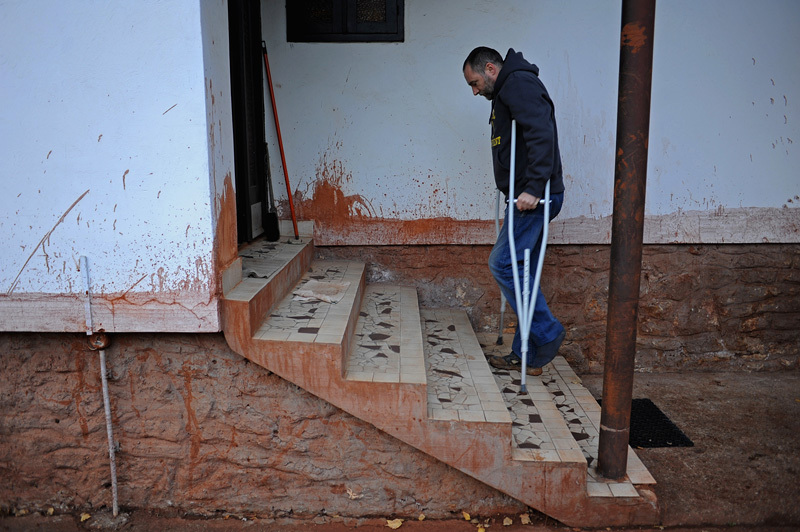 The younger Gyozo Bakonyi enters his parents home in an otherwise abandoned and condemned section of Devecser on November 21, 2010, after an industrial accident sent a torrent of toxic red alumina sludge gushing through Devecser and several nearby villages, killing ten, destroying homes, leaving several families homeless and severely injuring hundreds on October 4, 2010. Bakonyi survived the accident only to be injured during the clean up the day after; the red marks on the house indicate the height of the sludge at the time of the accident.